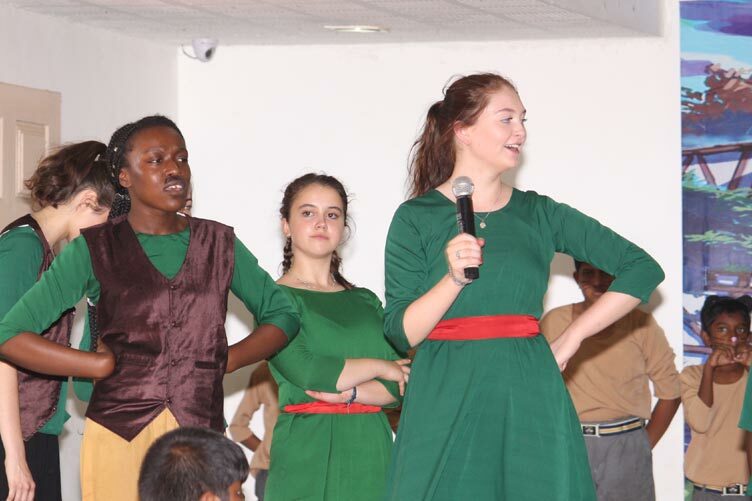 Kings School, in association with the Hockerill College from UK, enacted a new drama, ‘’Pied piper of Hamelin’’. The team from the UK visited under the leadership of Dr Kevin Purday. The team consisted of twenty-four girls who arrived on 7th July. 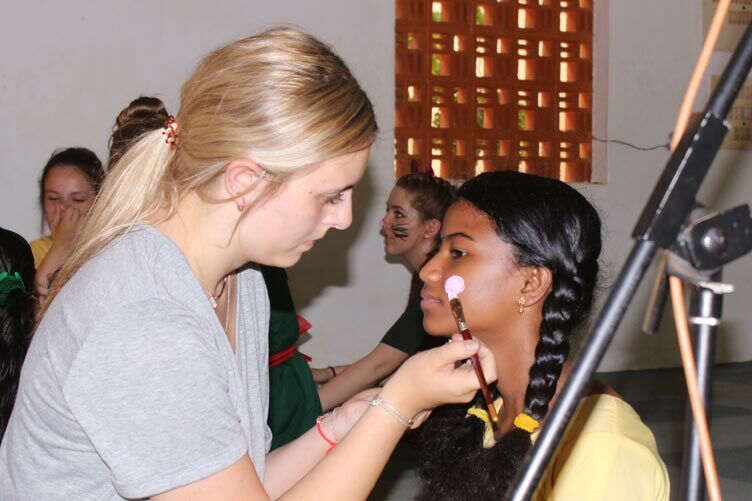 The team taught the drama, music and dance for the performance and organised all the costumes and props. 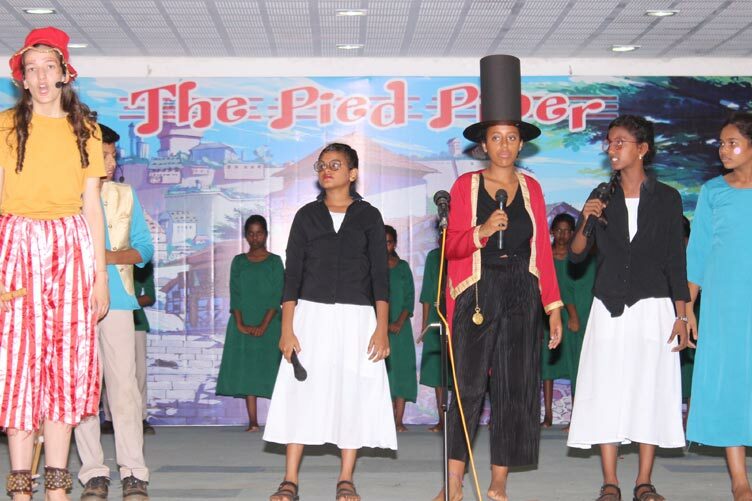 They taught Std 7 the entire musical ‘’Pied piper of Hamelin’’ which was performed on 20th July. The story of ‘’Pied piper of Hamelin’’ is about the importance of keeping promises, "If we've promised them ought, let us keep our promise. The main characters enacted the tale. The melodious choir and the wonderful dancers were appreciated by everyone. The concert was a delightful treat for the eye. It was truly amazing to see a cast of hundred and fifty students perform to perfection. Uncle Colin and Correspondent Mr Navamani congratulated the students who taught the music and the Kings School students who performed in it. The ‘’Pied piper of Hamelin’’ drama helped the students of STD 7 in the areas of phonics, pronunciation, fluency and Communicative English. Every year the students of std 7 get this blessed and privileged opportunity to be a part of an Original native speaking English drama team at Kings School.